Kristen the Yellow Lab and I are shushing!! 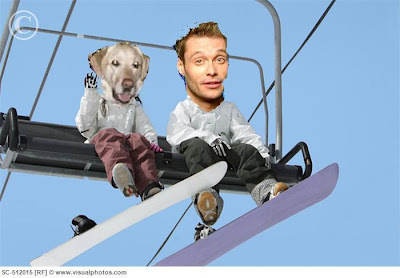 After all, what better way to celebrate American Idol 11 auditions in Aspen, Colorado? Wait! Who is that adorable tot on the bunny hill? Oh, it's just Ryan. 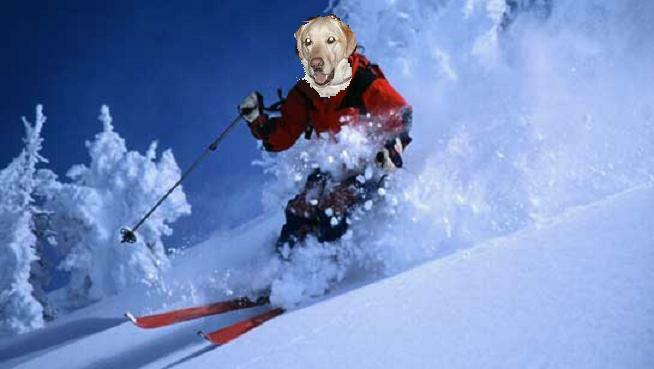 He's here to tell us that we are in Aspen, the celebrity winter playground, searching for the next superstar. 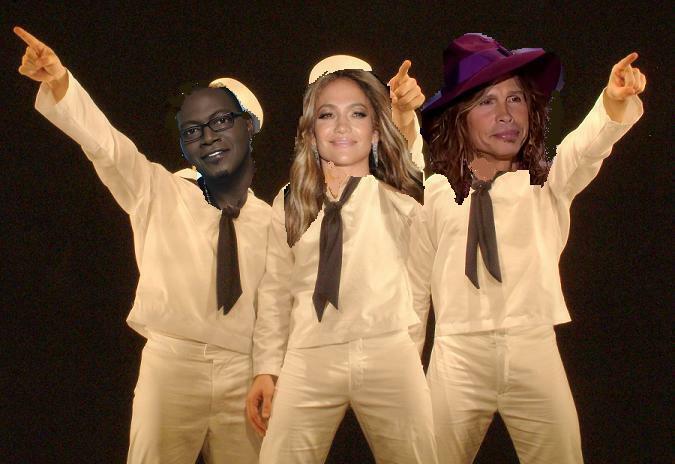 For THIS is American Idol! 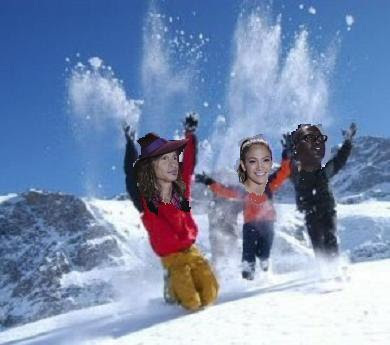 The judges take a powder! Kristen and I are ready for a lift! Bring on the first contestant! "Promise you won't knock me off, Kristen!" 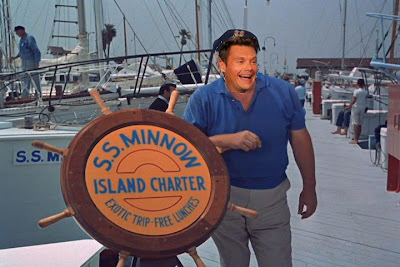 AKA: YOU CAN SAIL THE SEVEN SEAS! 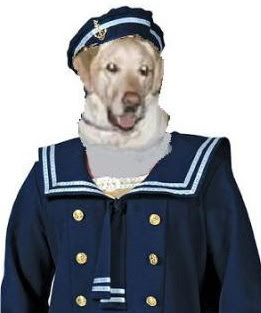 Kristen the Yellow Lab and I are shipmates!! After all, what better way to celebrate the American Idol Season 11 auditions in San Diego, California? Anchors aweigh, mateys! For THIS is American Idol! All hands on deck! Here comes the skipper! Oh wait, it's just Ryan. He's here to tell us that this episode is filming on the USS Midway, an impressive yet incredibly noisy audition spot. Three hour tours given here! Steven is wearing old-timey pilots glasses.... sort of a Red Baron on the junk. 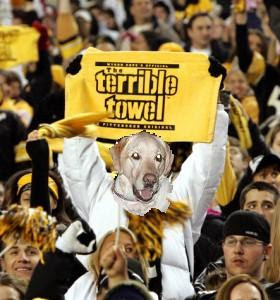 Kristen the Yellow Lab and I are waving our terrible towels!! 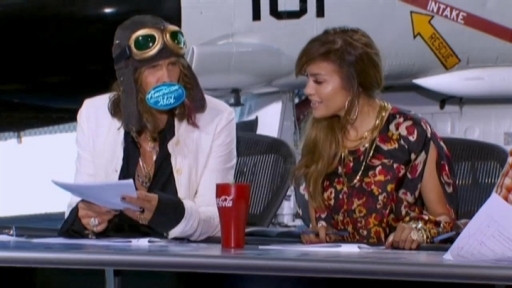 After all, what better way to enjoy the Pittsburgh auditions on American Idol Season 11? Are yinz guys ready? Den, let's go! For DIS is American Idol.